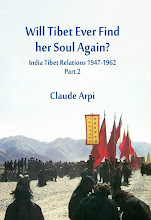 A few years ago, I wrote an article on the India, China and Tibet relations in which I mentioned the Sumdorong Chu incident in 1987. The strong stand then taken by the Indian Army allowed the visit of Rajiv Gandhi to Beijing to be rather successful a year later. The Indian Prime Minister could discuss from a respectable position with Deng Xiaoping and his colleagues. It is not the case today, if Mr Khurshid decides to go to China. We have mentioned the Sumdorong Chu confrontation in NEFA (soon to be Arunachal Pradesh). To appreciate better the respective positions, it is necessary to give the background of the stand-off. In July 1986, at the time the 7th round of border talks was to be held, the Indian media flashed the news that Chinese incursions had occurred into the Sumdorong Chu valley in NEFA. Early 1987, large-scale troop movements were reported on both sides of the McMahon Line. For many, there was the possibility of a new war between India and China. Sumdorong Chu (the Indian post was known as the Wangdung IB under the Zimithang circle of Tawang district), is a small river flowing west-east into the Nyamjang Chu in the Thagla triangle bounded by Bhutan in the west and the Thagla ridge to the north. On June 26, 1986, the Government of India lodged a formal protest with Beijing against the Chinese intrusions. 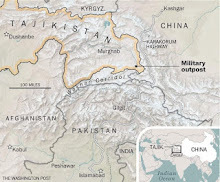 Beijing immediately denied any such intrusions, stating that the valley belonged to China. The area which witnessed the first clashes during the 1962 conflict was for years considered as a sort of neutral area, however in the early 1980s the Indian Army had reinforced its positions in the forward areas. 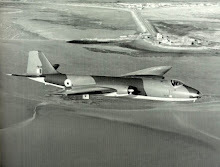 During the summer of 1984, India had established an observation post on the bank of Sumdorong Chu. It was to be manned by the Special Security Bureau (SSB) during the summer and vacated in the winter. In June 1986, an Indian patrol found some 40 Chinese working on permanent structures. Soon some 200 men reinforcements arrived on the spot. By August after the Chinese had constructed a helipad, the Indian Army took a more aggressive stand along the entire front in the NEFA. 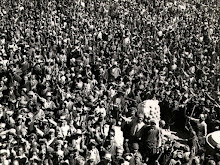 In September, in order to diffuse the tension Delhi suggested that, if the Chinese accepted to withdraw their forces during the coming winter, India would not re-occupy the area following summer. The proposal was flatly rejected by Beijing. Delhi reacted swiftly, by October, an entire Indian Army brigade was airlifted to Zimithang, the closest helipad. In October, Deng Xiaoping warned India that China would have to ‘teach India a lesson’. This was conveyed by the US Defense Secretary. In the meantime, in December 1986, Arunachal Pradesh became a full-fledged State of the Indian Union. This angered China further. 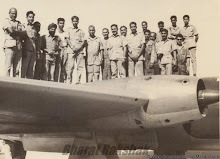 India continued her built-up during the first months of 1987 with a massive air-land exercise known as Exercise Chequerboard which involved several divisions of the Army and several squadrons of the IAF. The Indian External Affairs Minister’s visit to China in May 1987 helped lowering the tensions. Beijing and Delhi reaffirmed their desire to continue the on-going talks on the border. A few months later, the Indian and Chinese troops began to slowly withdraw from their positions in the Sumdorong Chu area. In 1988, Rajiv Gandhi became the first Indian Prime Minister to visit China after his grandfather Jawaharlal Nehru, who had gone to Beijing in October 1954 at the peak of the Hindi Chini Bhai-Bhai romance. 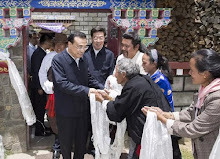 Though Rajiv Gandhi once again conceded that Tibet was considered by India as an autonomous region of China, his visit had the merit of reopening a dialogue at the highest level after decades of mistrust and hatred.